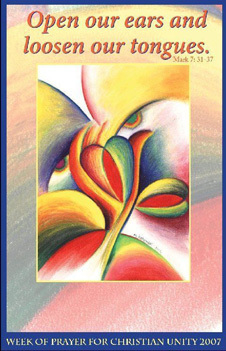 The 2007 Week of Prayer Poster is designed for use as is or may be customized to announce local ecumenical activities. To customize print information (activity, date, time, ect.) and place on the 21/2 by 7 area below.